You may not realize that the hiring philosophies you use to filter talent exclude swaths of qualified candidates. Tech companies continue to have abysmally low numbers of women and minorities within their ranks and must adapt their hiring practices to tap into this new and much needed talent pipeline. Despite the tech sector’s massive growth and need for talent, its hiring practices have remained stagnant. The industry continues to see low numbers of women and minority employees. According to Reveal, opportunities for women and people of color narrow as they move up the ranks, though they widen for white men. As outlined in Reveal’s data, white men account for 39 percent of tech professionals, 47 percent of managers and 59 percent of executives. 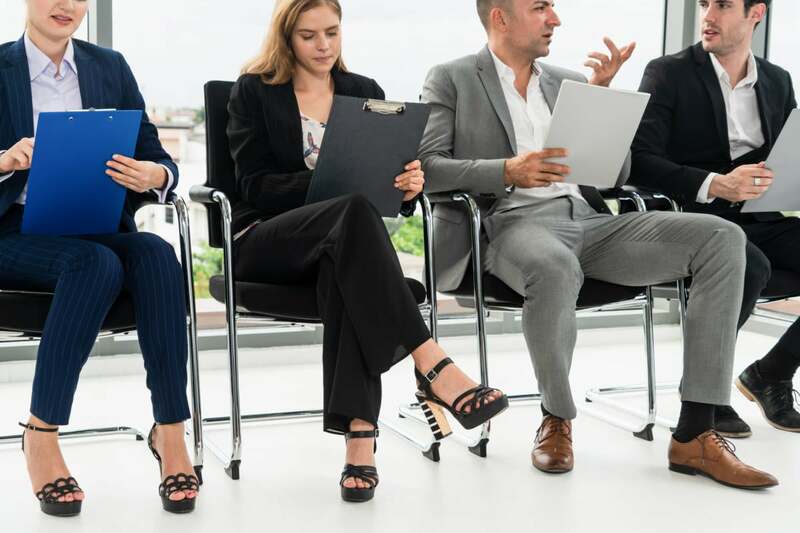 In order to successfully attract and maintain a diverse workforce, leaders must evolve their hiring processes – and they should begin by stepping into interviewees’ shoes. Imagine walking into your first in-person interview at a tech company. This is a particularly big deal when your background is different: Perhaps you were in the military, are a parent returning to work or the child of an immigrant or are transitioning from a completely different industry. As the recruiter gives you a tour, you’re astonished to see that all the perks you’ve heard about are true – a sweeping kitchen loaded with snacks, desks with oversized computer monitors and a rooftop terrace complete with a barbecue grill. Before the interview ever begins, you start to wonder if you deserve to be there. With ten minutes to spare before the next interview, you quickly head to the restroom, walking past clusters of people talking about weekend plans or projects they’re working on. As you return to the conference room, it occurs to you that you’ve not seen anyone that resembles you throughout the office, which confounds you. There have been no signs of the diversity the recruiter had talked at length about, but you push those concerns aside because you’re almost halfway through interviews. Two technical interviewers arrive with smiles on their faces and greet you with a handshake. They too start by telling you a bit about themselves – both are senior-level and moved to your city immediately after earning a computer science degree because of the budding tech scene. After a little bit of small talk, they glance at your resume to extract the next set of questions. Your resume does not have a computer science degree on it – it contains a few gaps in employment, and the employers’ names listed are not ones most people would recognize. Suddenly, your mind flashes back to walking through the homogenous group of employees while on your way to the restroom, and the feeling that you don’t belong settles in. The interviewers begin asking questions such as: Tell me again why you took a four-year break? Huh, they don’t teach you that in coding school? Are you going to be okay with an “office job” since most of your prior experience is working outdoors? What’s it like to grow up in another country? Through all of these questions, the interviewers make it clear that your path is different from everyone else’s. While you were previously able to push that shame aside, the feeling is now overwhelming. From there, perhaps you’re asked to explain the fundamentals of email handling. After explaining that you don’t have direct experience because you normally interact with libraries, a flash of disappointment moves across their faces, but you must keep smiling and push through the next phase. The interviewers then ask you to whiteboard a sorting algorithm. There’s no pressure, they remind you, advising you to take your time, ask questions and show your work. You’ve never had to write a sorting algorithm – anytime you’ve needed one, you’ve always found a suitable library, but you press on because you want them to see that you can think logically. When they hear you quietly ask yourself a question, they respond. When they see you doing something they don’t like, they correct you. This goes on for what feels like an eternity, until you hear “just stop.” You sit down, frustrated and ashamed. You think to yourself that you could have easily found the appropriate algorithm to solve the problem had you been given the ability to do research. Now, all the feelings you’ve pushed aside rush back into your consciousness, and the rest of the interview is a blur. The hiring manager shows up late, leaving you just a few minutes to talk before the recruiter returns to walk you out. By the time you’re at the door, you’re convinced that you never should have been there in the first place. This scenario might feel hyperbolic to those who’ve been in the industry and don’t think twice about day-long interviews, but it’s all too real for people attempting to break into tech. The trauma of an experience like this doesn’t end after walking out the door. Instead, it carries through to each resume submitted and every subsequent interview, slowing eroding a job seeker’s confidence. If you lead a team or an organization that cares about diversity and inclusion, you know that it entails much more than having a stellar culture statement, a progressive social media feed and a fun workplace environment. These less obvious implications of your hiring philosophies are excluding candidates that could otherwise fill open positions and contribute to your company’s growth. Updating your interview process is a strong first step. Below are some common problems and solutions that can help you ensure that you’re not turning away qualified candidates from diverse backgrounds. Problem: “Fundamentals” are local to the person and when they began their training/education/career. In the ‘90s it was required to understand email handing in order to send emails from your web application. That isn’t an issue anymore, so why would we expect the new generation of folks in computers to every worry about that again? Solution: Ask interviewees to solve a problem common to the role, pair them with a peer and offer access to internet resources. Efficiency in finding answers is key. Candidates who can solve problems with prior knowledge and can quickly leverage resources will help you solve problems and ship products faster. Testing for low-level algorithm knowledge tells you nothing about how resourceful a person will be on your team. Problem: Whiteboarding sessions should only be considered an effective interviewing tool if the role you are hiring for commonly involves whiteboards. Otherwise, it filters for a skill your organization does not need. Solution: Test for technical skill by assigning “homework” that asks the candidate to provide a solution to a problem common to the role. Give the candidates ample time to complete the homework (preferably over a weekend), with an assignment that does not exceed one hour. Then, you can discuss the results face to face. Problem: Unconscious bias is everywhere and affects how everyone thinks, and without proper training and awareness, it can be detrimental to tech hiring. As with the scenario above, you likely don’t realize how the interview questions posed can lead a candidate to drop out of your hiring process. Solution: Educate all levels of employees about bias. It isn’t enough to tell people to stop being biased; you must train them on what bias is, how it is used by the brain to make quick decisions and how it can consciously and unconsciously cause discrimination. One way to do this is through workshops, as Google has done successfully: Its unconscious bias workshop has become one of the largest voluntary programs in the company. We’ve heard it said time and time again that diverse teams perform and produce better results. But despite talking about it for years, the tech industry still hasn’t changed. The tech industry is the nucleus of the changing world. While technology propels society forward, the hiring practices of tech companies leave large groups of candidates with unrealized potential in the cold. It’s time for hiring norms to evolve as quickly as engineering and technology do.